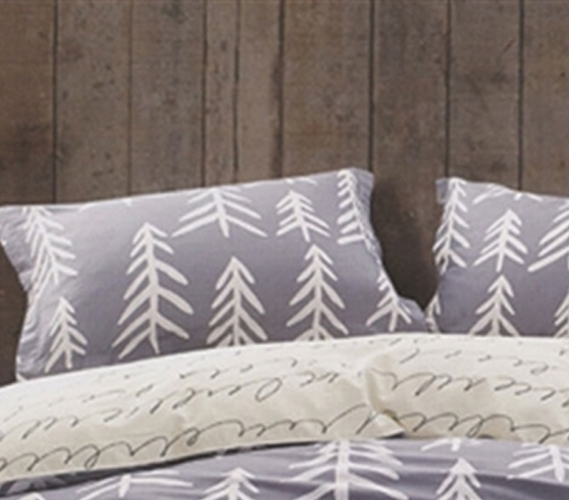 Unique college bedding will help you make your dorm room your own. At DormCo, we offer a variety of extra long Twin bedding items from your essential college comforter to your Twin XL sheets and your dorm pillow sham so you can get the perfect look for your dorm bed. If you want to go stylish and make a statement with your dorm bedding but still have it perfectly match your college decor we have you covered! Our Glacier Nights Sham has a unique look that will make your dorm bed one-of-a-kind and yet a perfect color combination to match up with the rest of your dorm room. This stylish standard size college pillow sham features a design of white sketched trees over a backdrop of soft gray. This essential color combo will help you match your dorm pillow with the rest of your Twin extra long bedding as well as your dorm decor! And, just as important, this standard dorm sham is super comfy! Made with a cozy soft cotton, this college sham will help you relax in your dorm room on your amazingly comfortable Twin XL sized bed.